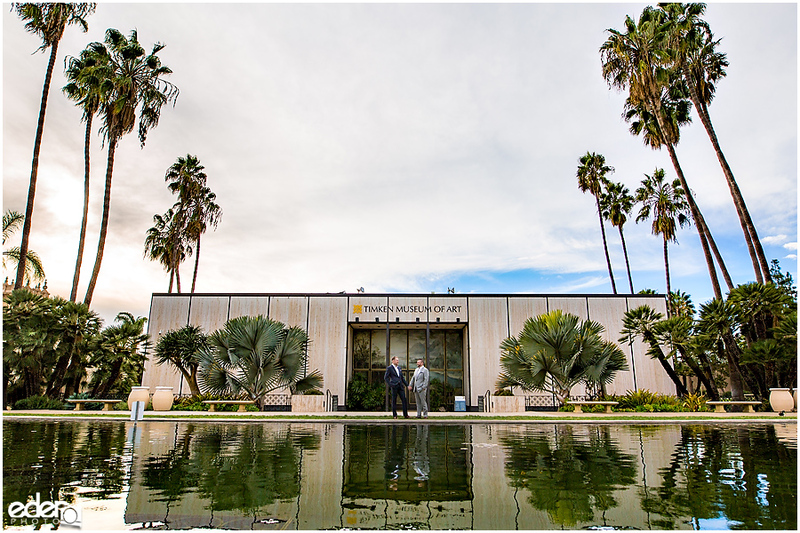 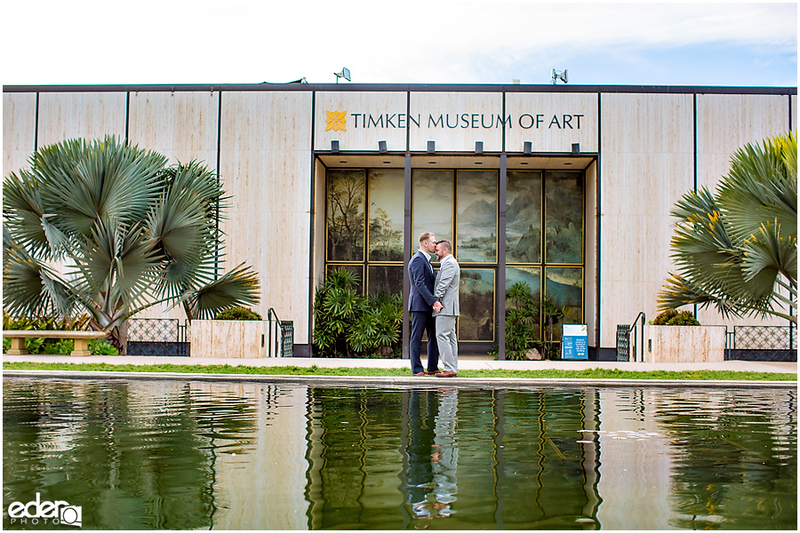 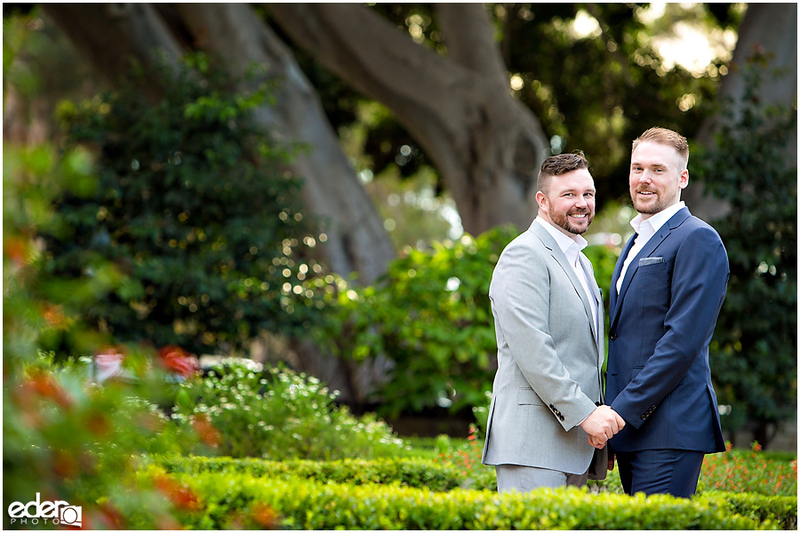 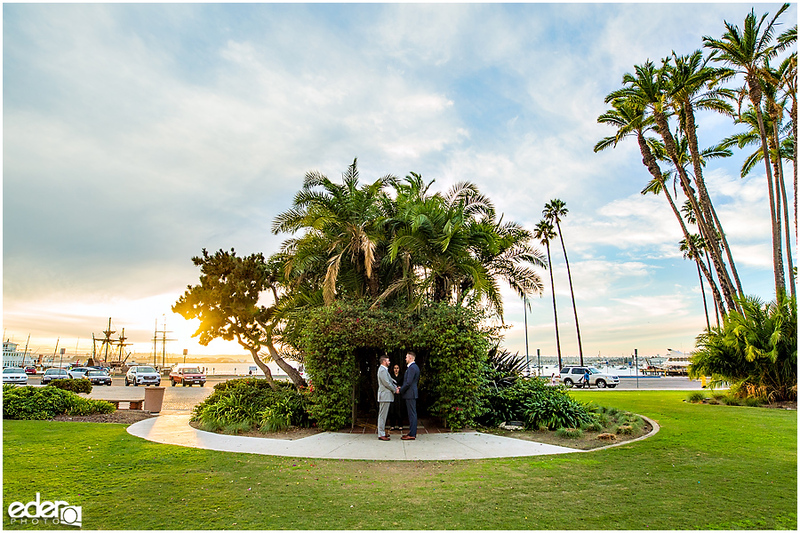 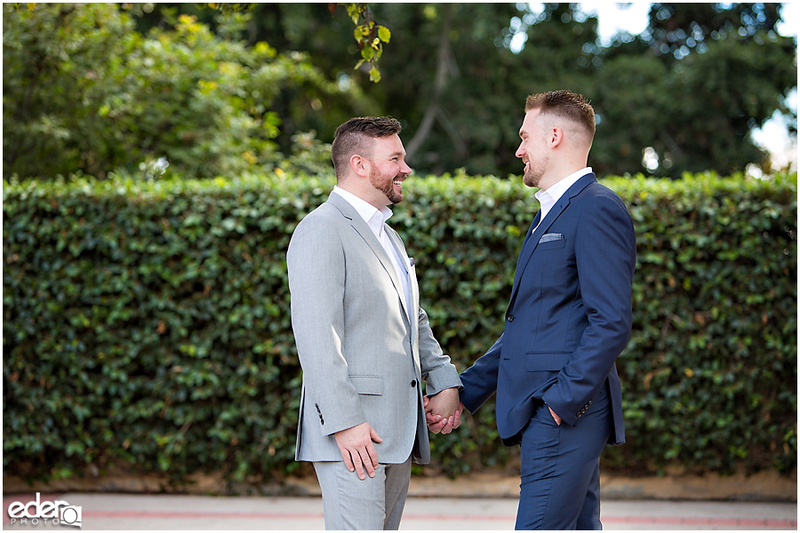 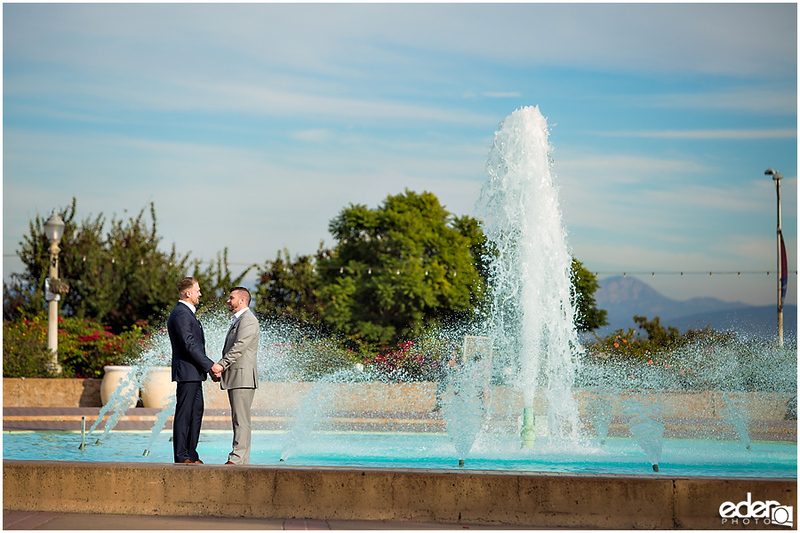 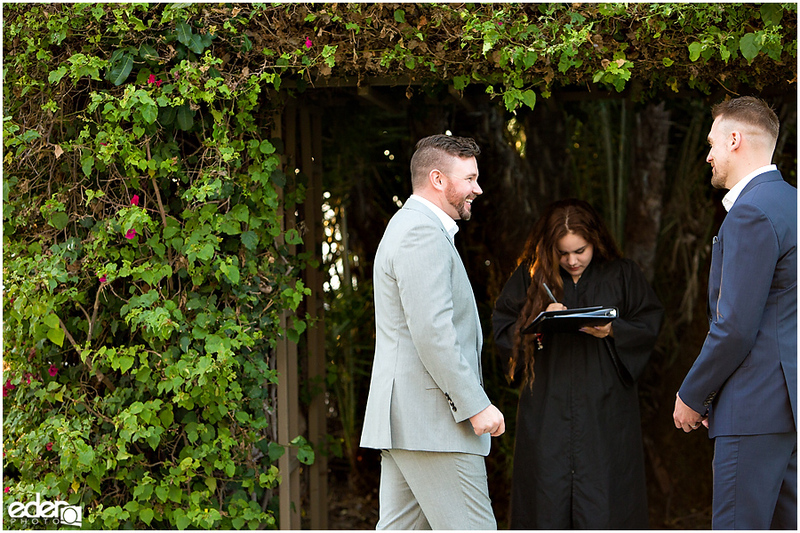 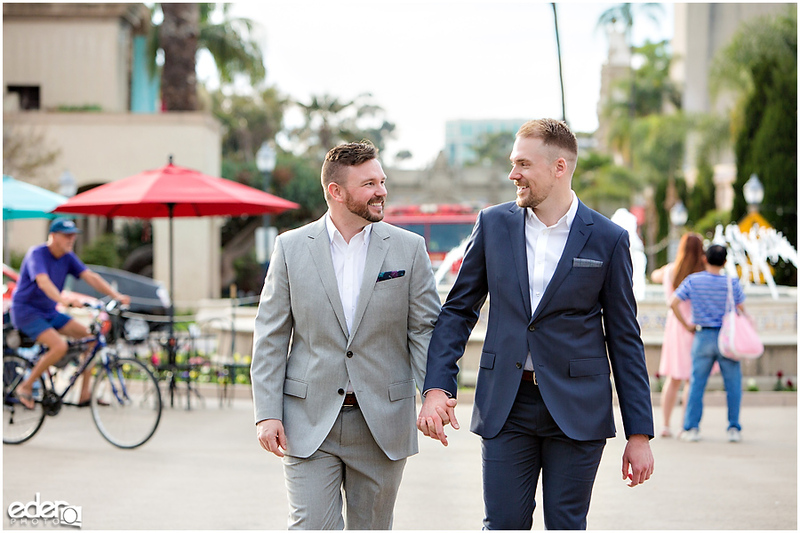 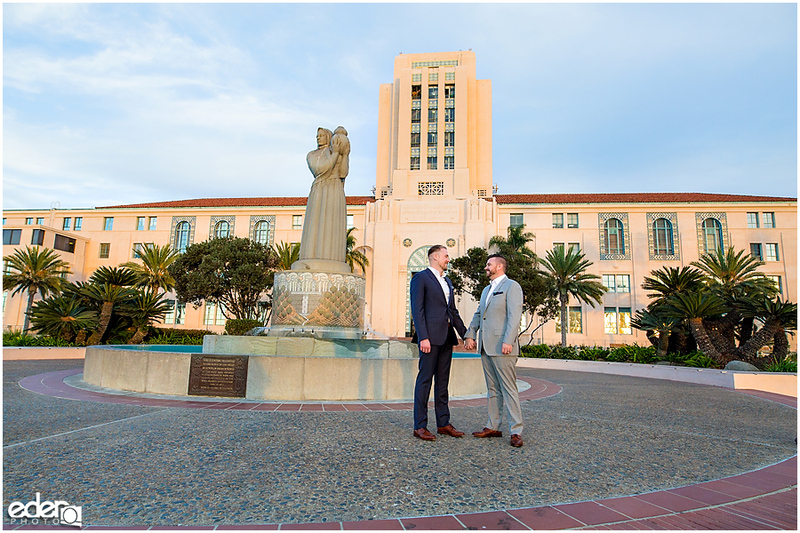 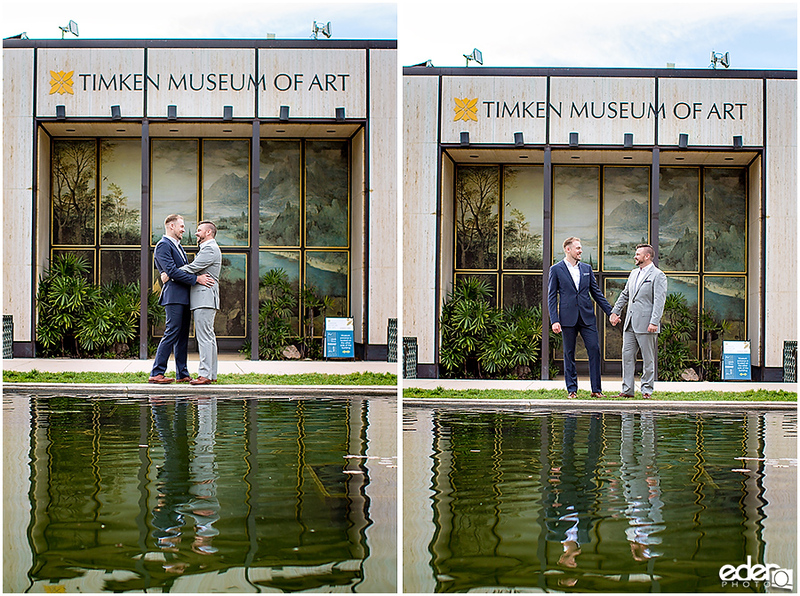 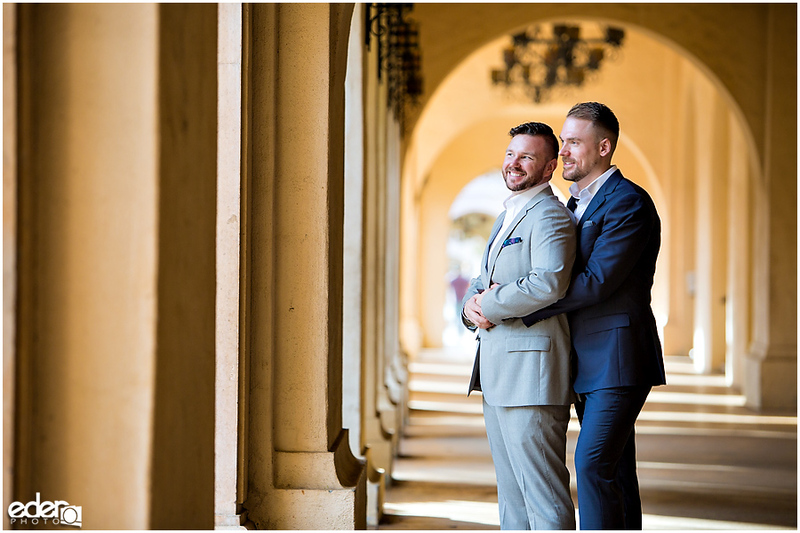 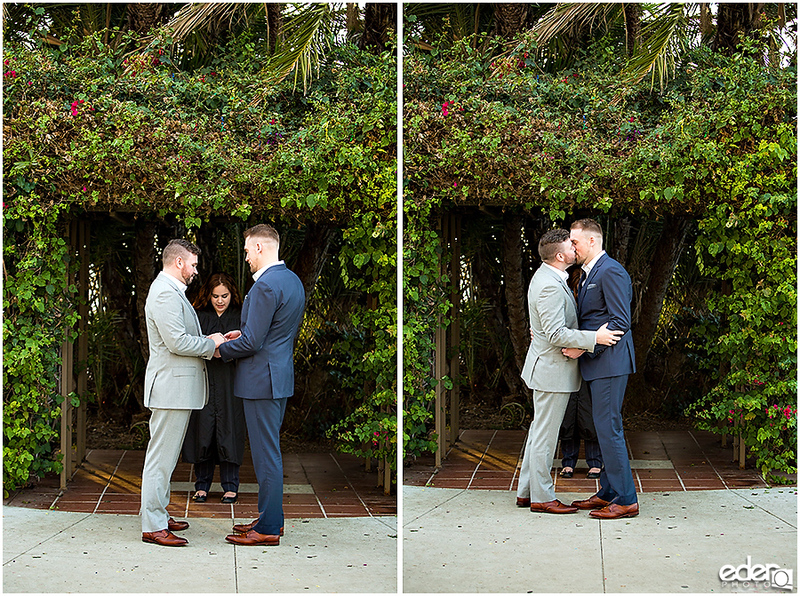 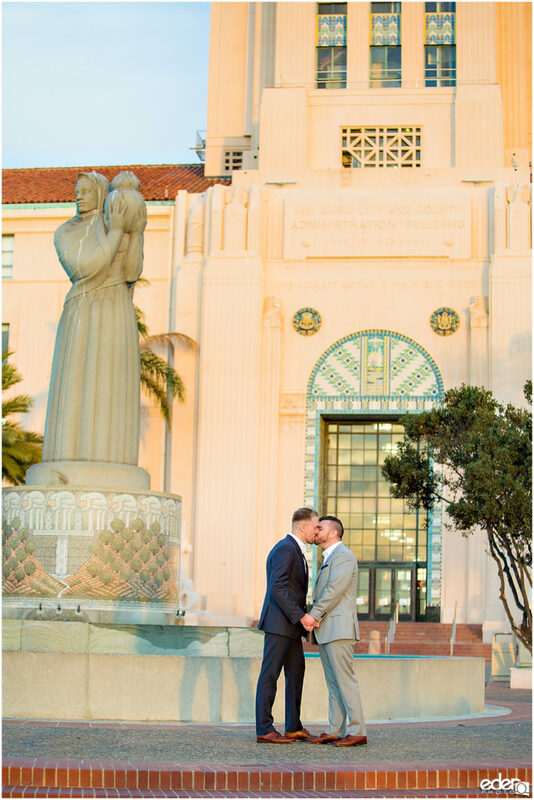 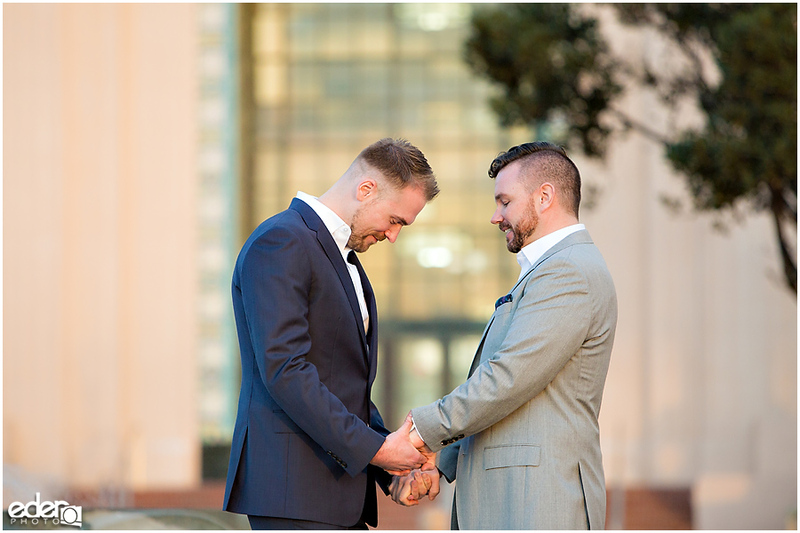 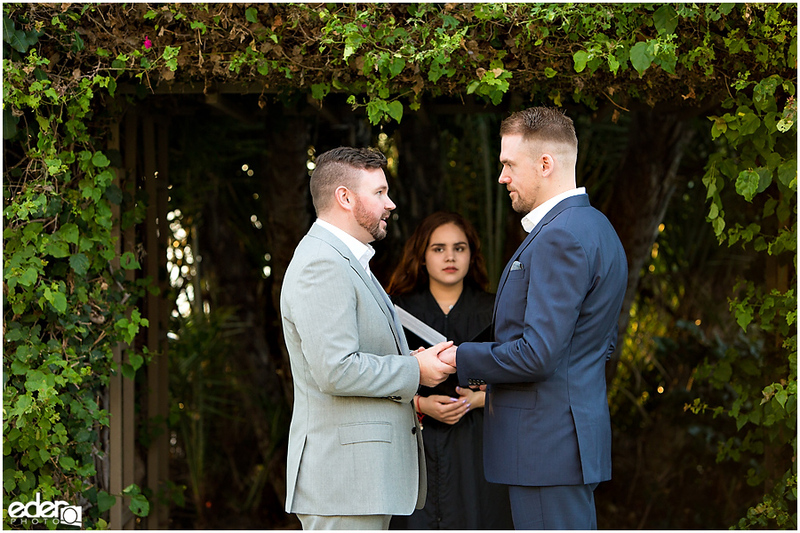 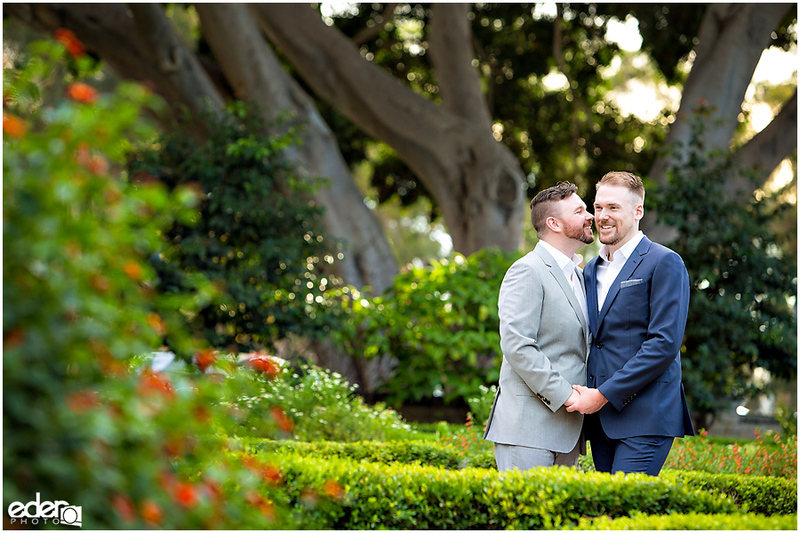 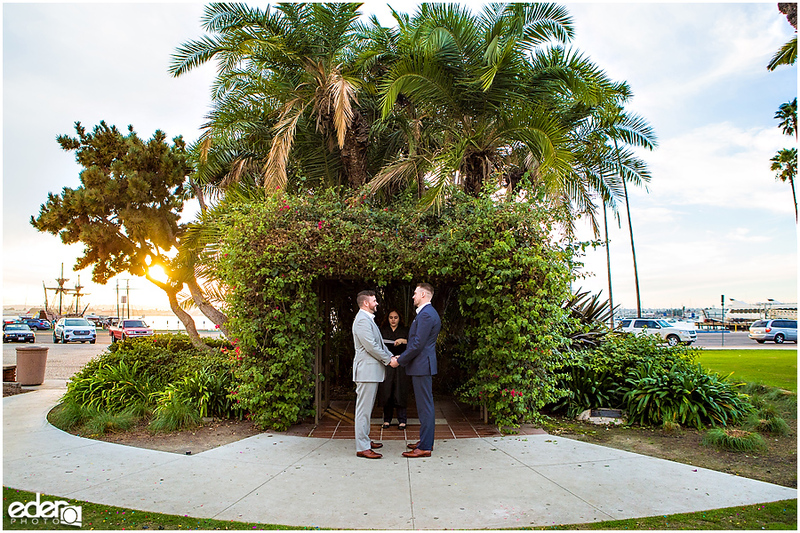 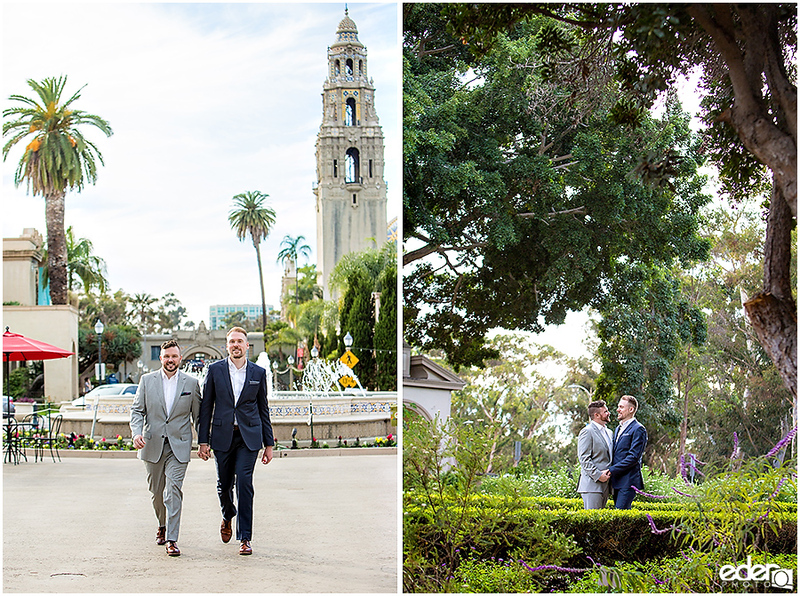 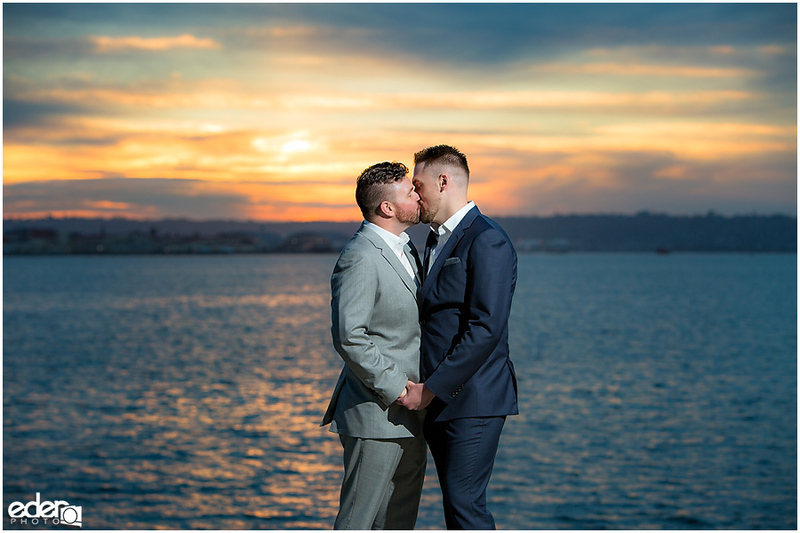 Tom and Cole traded in the chilly Minnesota fall for a trip to California and a San Diego County Building Elopement. 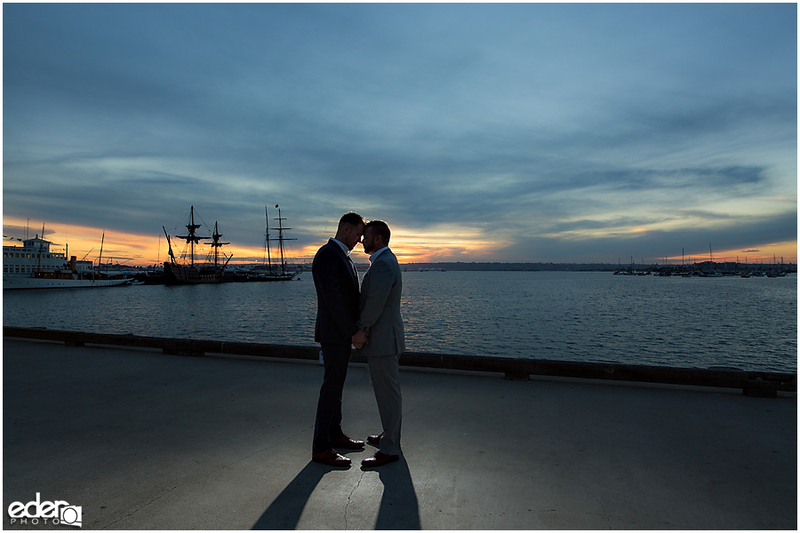 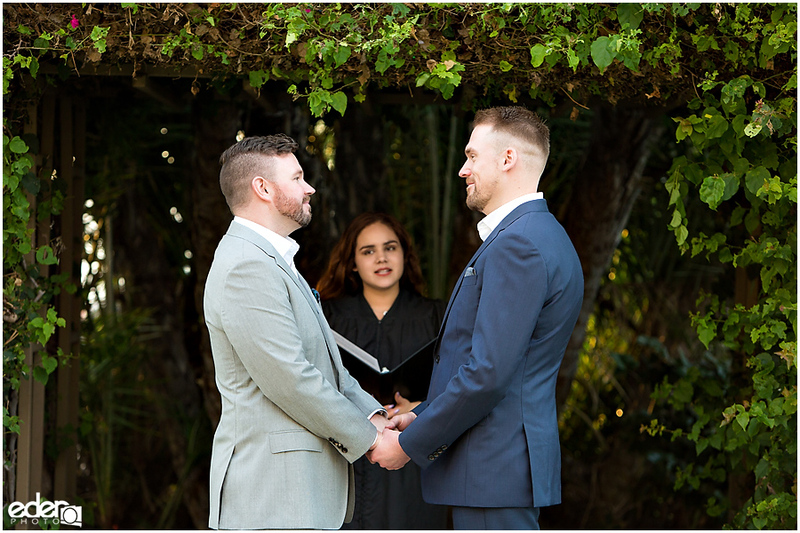 They got pretty lucky with the timing of their ceremony and ended up with an appointment close to sunset. 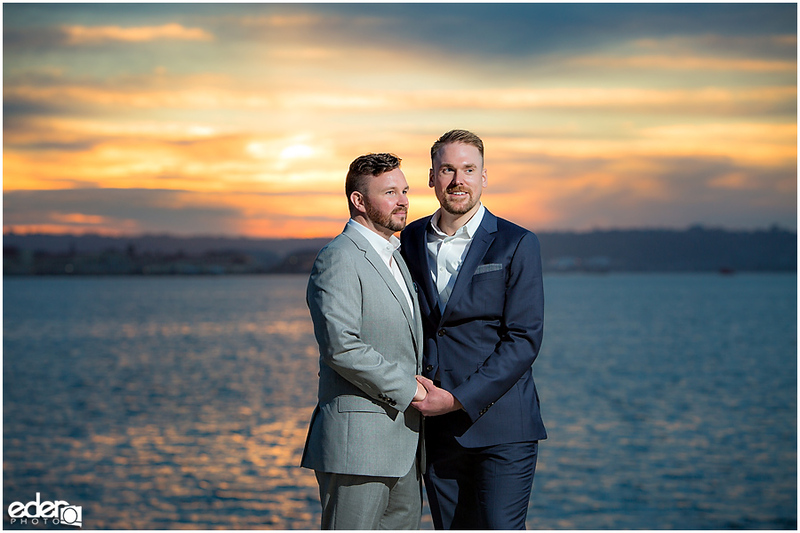 They wanted to do lots of portraits so we decided to do them before the ceremony to guarantee a little variety in their photos. 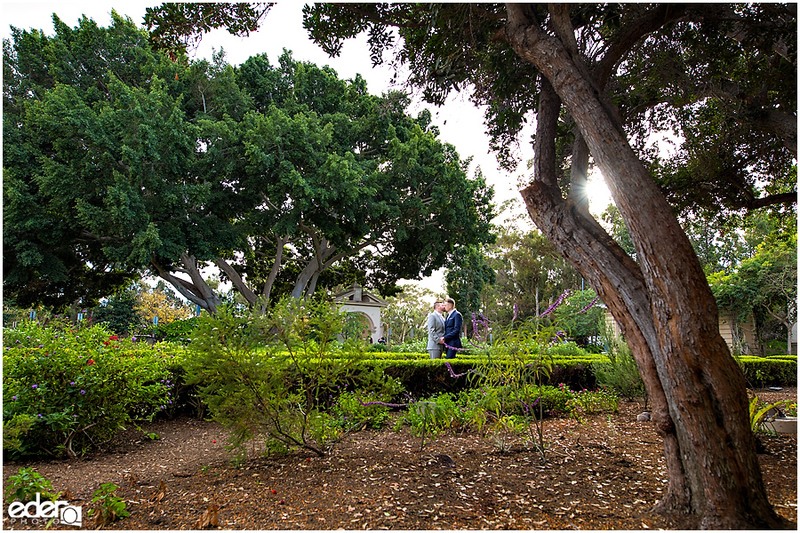 Our meeting place was the middle of Balboa Park for their pre-wedding portraits. 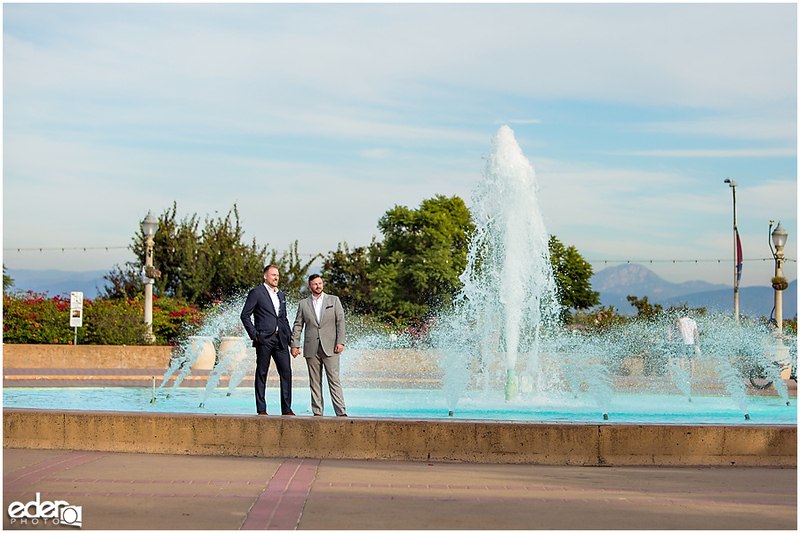 Taking full advantage of a slow time at the park, we used a bunch of different backdrops. 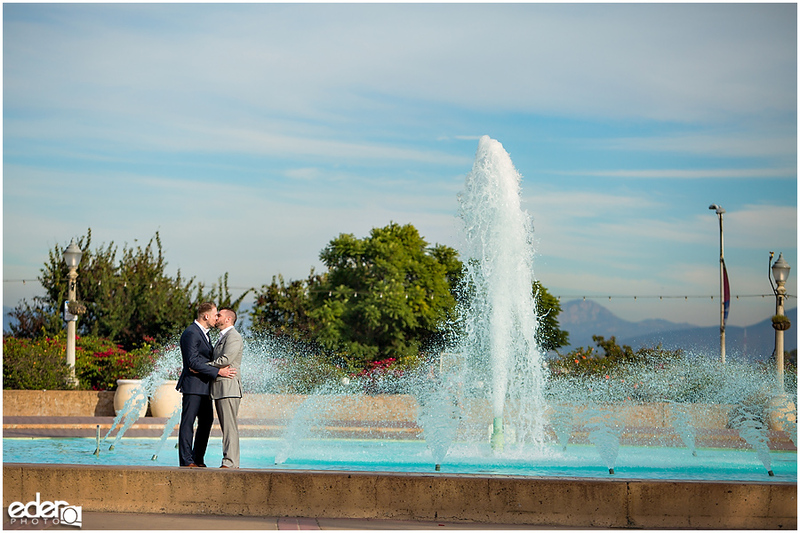 We went from the big fountain in front of the Ruben H. Fleet Science Center, to the Lily Pond in the middle of the park. 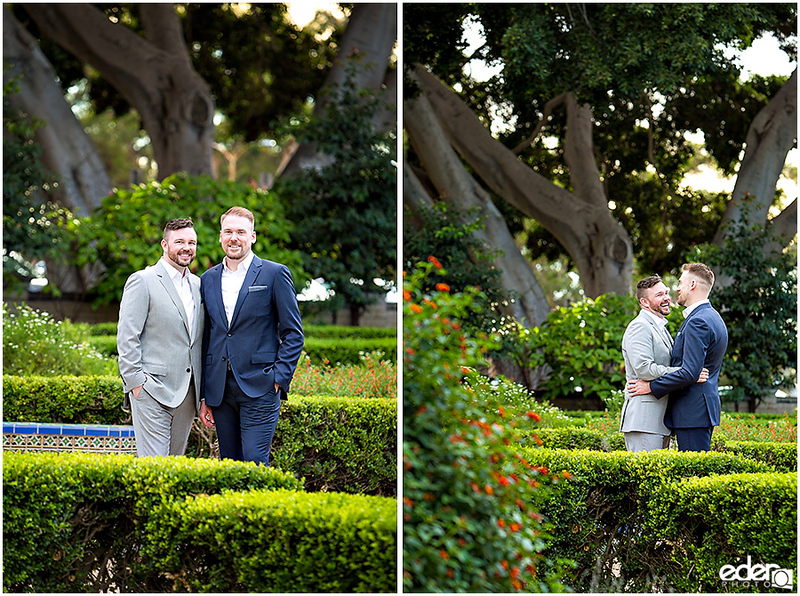 We ended the session in the Alcazar Garden, one of my favorite places in the park. 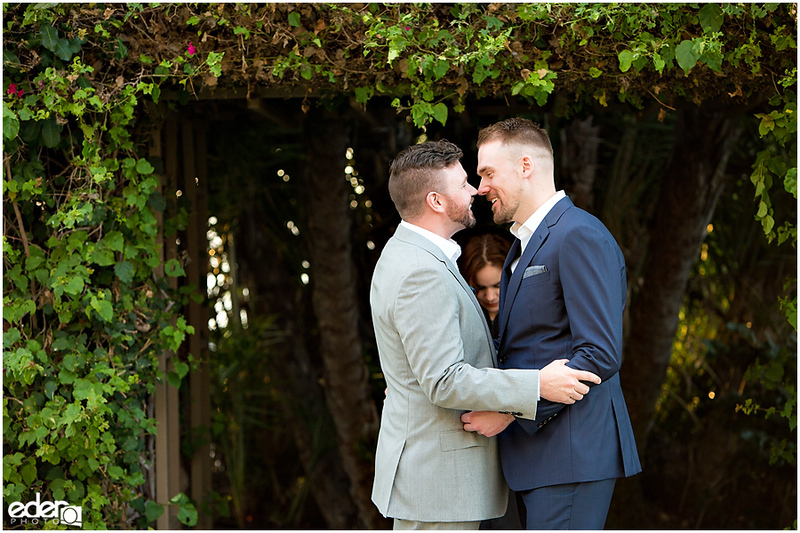 It’s always interesting working with couples who I’m meeting for the first time. 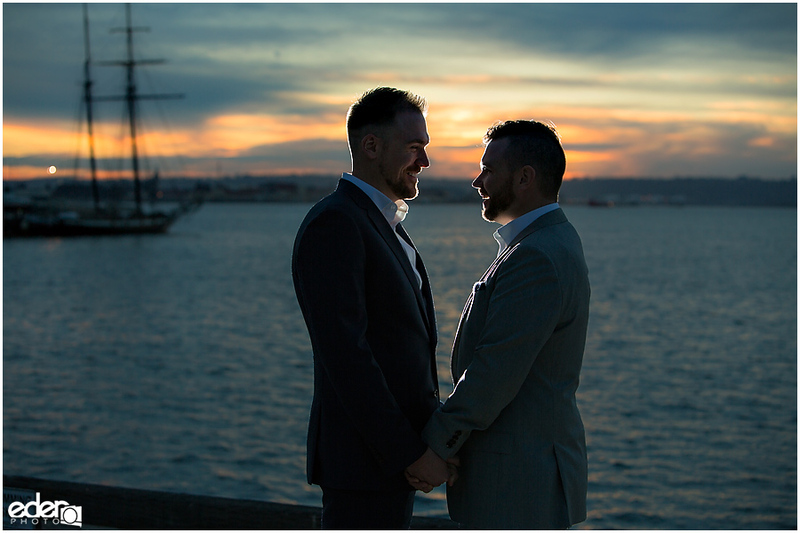 We say hello and are shooting photos within a few minutes. 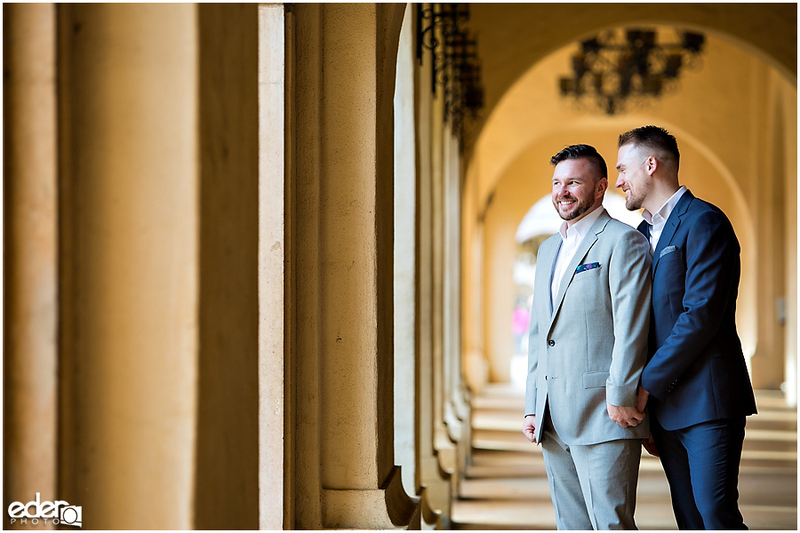 I feel like there is always a little warm-up time to get comfortable in front of the camera. 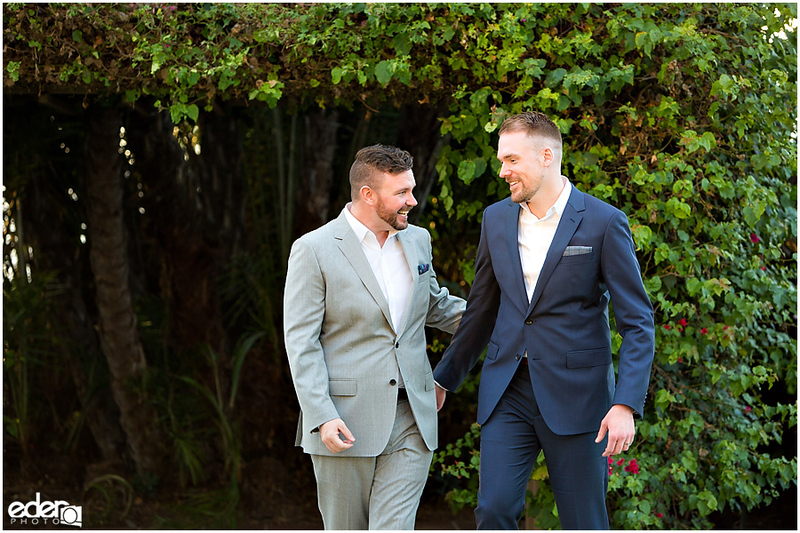 With Tom and Cole, that time was very short. 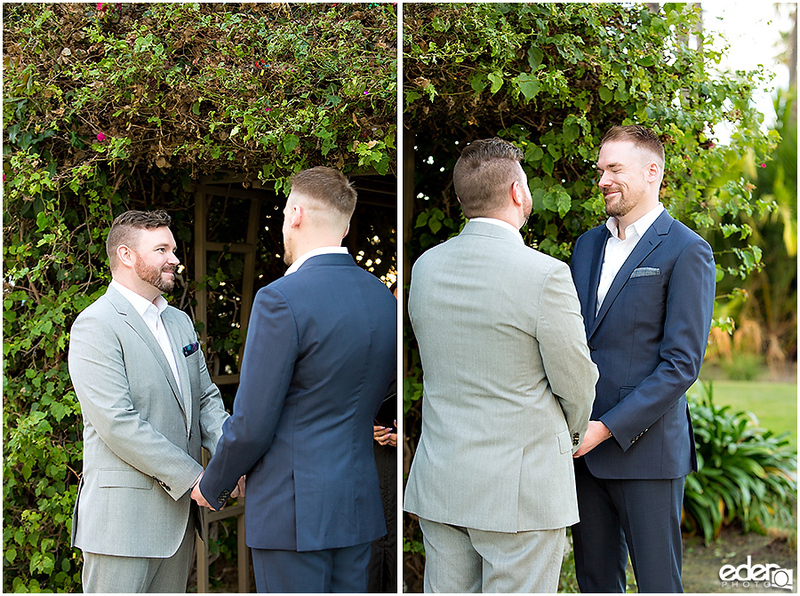 They were great in front of the camera and I got the best reactions from them simply looking at each other. 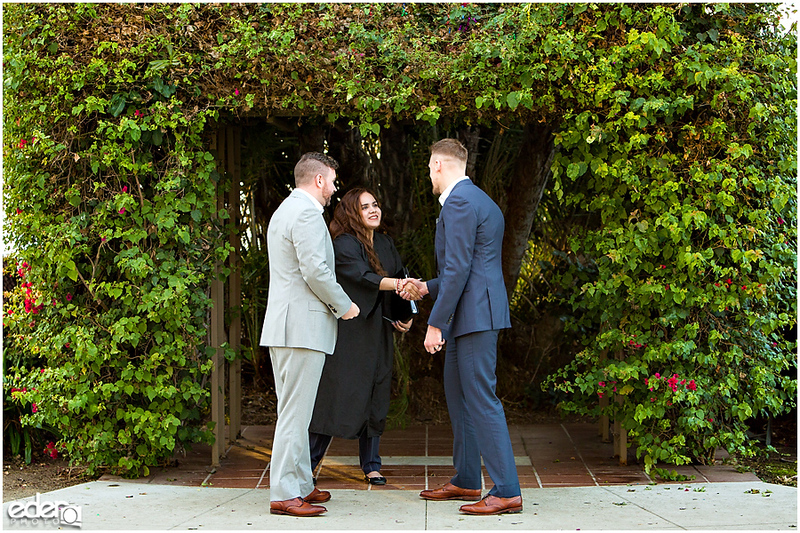 It was very nice to work with them.